23rd Lola M. Parker Luncheon – IΦΛ Iota Phi Lambda Sorority, Inc.
San Francisco, CA, April 2019 —Across the nation Iota Phi Lambda Sorority’s Business Month which focuses on empowering Business and Professional Women is being celebrated with diverse events throughout the month of April. Iota Phi Lambda is a nonprofit organization of business and professional women dedicated to community service. The theme is “Business and Professional Women: Furthering the Dream of Economic Independence”. 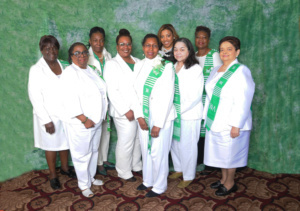 On April 6, MC Valerie St. John introduced seven women selected by Gamma Nu Chapter to the community at its 23rd Annual Lola M. Parker Luncheon held at the Patio Español, 2850 Alemany Blvd. in San Francisco, CA. She is an award-winning digital strategist and corporate communicator for a cutting edge data driven research firm which helps institutional investors make more informed decisions. She is also an Honorary Member of Gamma Nu Chapter. (L to R) Honorees: Stacey Hunt, M.D. ; Clara L. Porter, J.D. ; Lucretia Bobo; Lacy Silas; Tamara Sisk; and (not in photo) Elizabeth Grigsby and Joanne Early, 2019 Soror of the Year. 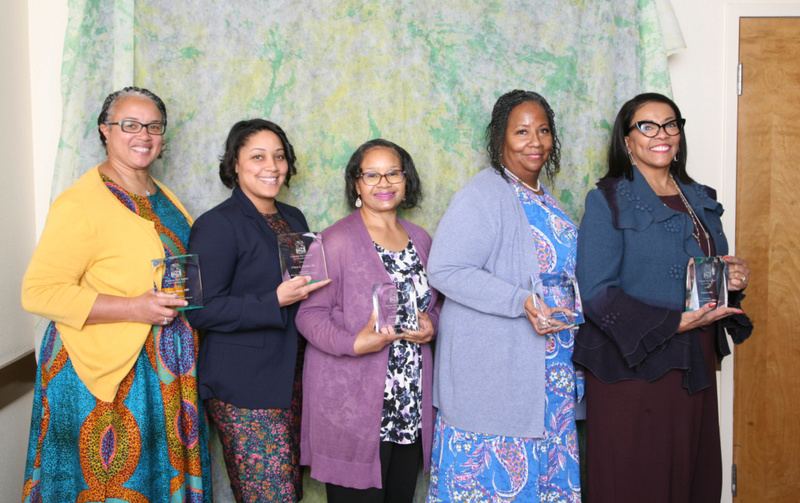 The Business and Professional Women honored included: Lucretia Bobo, Community Outreach Recruiter & Worker for Alameda County Health Care Services Agency; Dr. Stacey Hunt, M.D. at Kaiser Permanente; Elizabeth Grigsby a Consumer Rights Advocate at the Golden Gate Regional Center; Clara L. Porter, J.D., an attorney at Veatch Carlson, LLP; Lacy Silas a business owner of Lacy’s Nails; Tamara Sisk, a business owner and Architectural Designer; and Soror Joanne Early, a Life Coach and the 2019 Gamma Nu Soror of the Year. 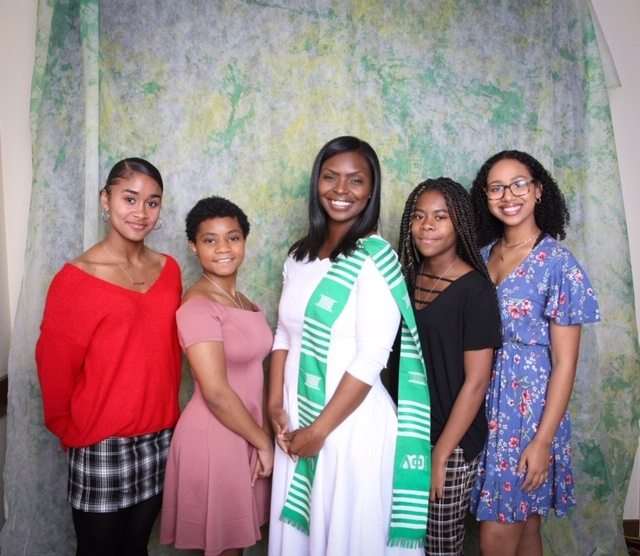 2019 Gamma Nu Scholarship winners (not in order): PSASHA IMANI BORDEN, SAIRA ZOE BROWN, DESIRAY ABIGAIL GRIFFIN, ISLAAM SAVANNAH RASHADA, with Soror Shontay Rand. The chapter also administers the Helen M. Johnson and John Q. Johnson Memorial Scholarship Fund which targets single mothers with minor children who are pursuing their goal of higher education.